The best pavement painting service in Ohio! 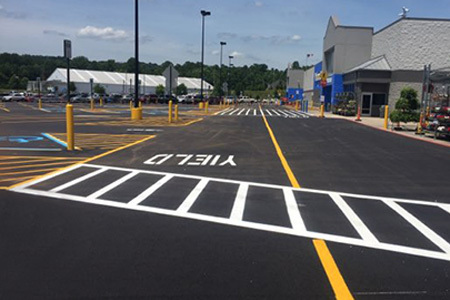 Backed by decades of experience, Bohl Striping & Painting, LLC proudly provides expert pavement marking services to customers throughout Central Ohio. No project is too big or small for our team to finish with top-quality precision and attractive results! From parking lots to playgrounds, we can paint and stripe it how you need it. Contact us today for an estimate or assistance with layout design. Clean, crisp, evenly spaced lines in a parking lot aren’t an accident and neither is the perfectly proportioned school mascot painted on the basketball court. They’re the result of keen precision and expert painters. And, if you’re admiring work somewhere in Central Ohio, there’s a good chance the team at Bohl Striping & Painting, LLC is responsible for the beautiful markings you’re looking at! 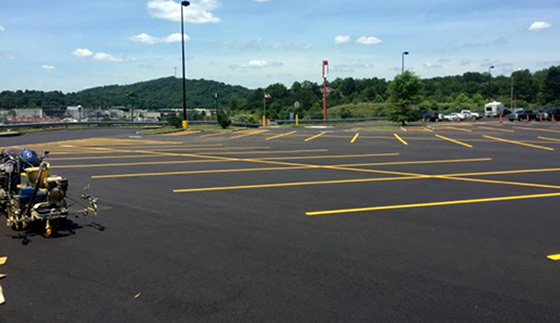 We’re proud to be one of the most established, well-known, proven pavement marking companies in Lancaster, OH, and we take great pride in our work, no matter the job. Our abilities have been honed over decades and put to the test on projects of all types. 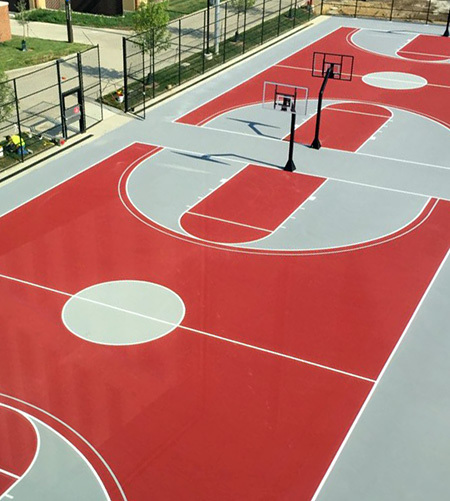 As a result, we’re equipped to tackle nearly any job—from parking lot striping, to basketball court painting, to road and walkway markings and beyond! We can even assist you in planning pavement markings in Lancaster, OH, with ADA- and OSHA-compliant knowledge we can put to work for you. Our ultimate goal is to leave you with a surface that looks great and does its job. We welcome projects for institutions and can also coordinate with asphalt paving companies to provide marking services. Reach out to us today for more information, provided by one of our friendly, knowledgeable professionals. No job is too big for our experienced team! We’ve worked on shopping center parking lots, multi-story parking garages, university campuses and more. We’re proud to be among the most experienced striping and painting companies in Ohio, with experience that goes back 30 years! Our expertise includes ADA-compliant striping for a wide range of applications, so you can rest assured your surfaces are striped to code. We have strong affiliations with the Better Business Bureau (BBB), as well as the Lancaster and Fairfield County Chambers of Commerce. We offer free job-specific estimates on all of our painting and striping and can even assist you with layout design for your project.